My wife decided when she turned 40 that she would start running marathons to work on getting healthy for our kids. She started this health kick and was featured in magazines about her journey. She came to me one day and said she wanted to ride around Lake Tahoe, which was 100 miles. I knew she had gone crazy at that point, to ride on a bicycle up and down hills? I didn’t want to be left behind, so started training with her and ran a couple of half Marathons. My love for riding bicycles started when I was a kid. We did not have video games to keep us in the house. I grew up in the country and lived away from all my friends so I rode my bike everywhere. I had an old mountain bike that was heavy like a tank and remembered my first distance ride. My truck needed to go into the shop and I had no one to bring me home. So I left the dealership and rode 10 miles home. I thought the whole way I will never do this again. But something happened 10 minutes after arriving home, couldn’t wait to go back and do it again. I’ve been hooked ever since. I built up to 30 to 40 miles and 4 to 5 times a week. I talked Tracy into riding with me and bought her a road bike like my new one. Our first ride was 15 miles in the country and she did great. The second ride was 25 miles going through the city when she took a head over heels spill on her bike. The injuries from her accident hurt Tracy pretty bad which included a lot of road rash. She didn’t get back on the bike again for 2 years. 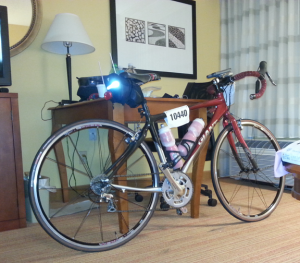 I continued to ride, but had never been over 60 miles before on a bike. 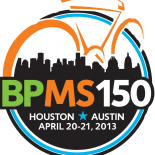 I heard about the BP MS 150 and convinced my wife to ride with me. 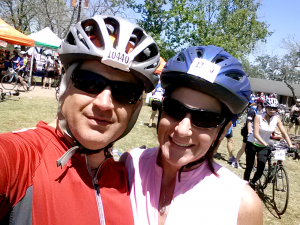 She overcame her fear and started riding again, with her second ride becoming more comfortable on the saddle than before.The BP MS 150 is a two-day fundraising cycling ride organized by the National MS Society: Lone Star. 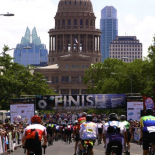 The ride is a 150-mile journey for multiple sclerosis from Houston to Austin. This ride is the largest event of its kind in North America. 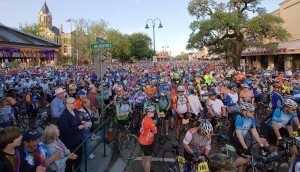 In 2011, the event raised more than $16 million for MS and raised $16,448,708.84 for the event this year. I was so nervous about the ride and the hills, but Tracy was thinking that it couldn’t be that hard. Remember, she had run full Marathons and there is no way I would do that. 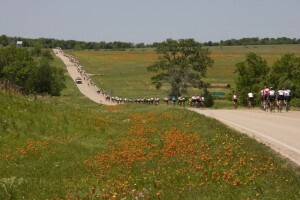 After we started the ride from Houston to Austin, Texas, I never looked back and had the time of my life. I am so grateful that we did it together, and I’m looking forward to my next big ride. We as a family give all our Praise to God for the gifts he has blessed our family with. Terry readily admits that his passion for cycling parallels his success in his sales position at Pixus Digital Printing, the leader in digital large-format printing. “Discipline to follow the course, persistence to finish everything I begin and the focus to see any plan to the very end is essential to my success in work and personal accomplishments,” says Broussard. Terry is quick to point out that he and family give all praise to God for the gifts they have been blessed with. He is married to his lovely wife Tracy and has four children, which include Justin, Lauren, Brennon, Bryson and grandchild, Mia.